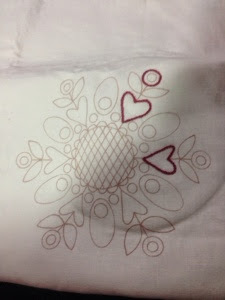 Last night I began stitching instalment four for Rosalie Quinlan's BFF. 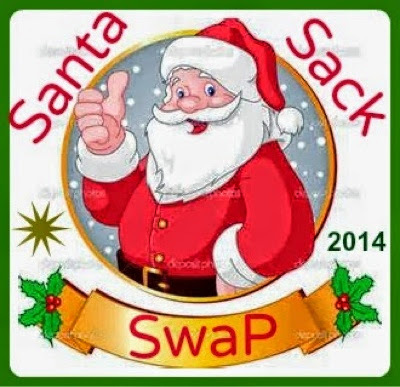 I have also signed up to Cherylls Santa sack Swap for 2014. My partner was emailed to me yesterday and before I had a chance to read Cherylls email there was an email from Sharon all the way from New Zealand. I have responded and Wait her reply. I am very excited to be a part of this swap again in 2014. You'll both enjoy the swap I'm sure! Love that stitchery. I thought about the swap but have too much on my plate at the moment to commit myself. You will have fun. I never have enough faith that I will finish something for a swap up they do look fun. I love your red work.